Sign up for Broadjam today to follow Bobby Matos, and be notified when they upload new stuff or update their news! Bobby Matos and his Afro Latin Jazz Ensemble are natural heirs to the rich legacy of Latin Jazz, a now endangered genre. 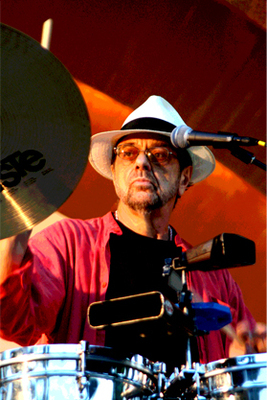 Bobby and his musicians have been mentored and schooled by the masters, including Dizzy Gillespie, Mario Bauza, Machito, Tito Puente, Horace Silver, Freddie Hubbard, Sonny Fortune, Mongo Santamaria, Cachao, Larry Harlow, Ray Barretto, Moacir Santos, Bobby Hutcherson, Willie Bobo, and others. Born and raised in the Bronx, N.Y., Bobby grew up surrounded by the classic Mambo sounds of Machito, Tito Puente, and the Jazz styles of Dizzy Gillespie, Art Blakey, Miles Davis, and Horace Silver. 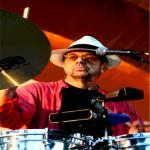 Inspired by the performances of Patato Valdez, Cal Tjader, Willie Bobo, and Cal Tjader, Bobby began a lifelong dedication to mastering the sounds of Latin Jazz. Bobby also believe strongly in the holistic healing process of music and in his ensemble has worked to combine influences from Charanga to Coltrane, from Mambo to Miles.